Cuba’s population is ageing rapidly, a trend directly linked to the demographic character of international migration that includes an increasing number of both women and young migrants. This trend has accelerated since the 1990s. But how, exactly, has this happened? How is the growing feminization of migration related to an ageing population and how does it affect elderly care? The following explains the relationship between international migration patterns and both population ageing and the crisis of elderly care in Cuba. The world’s population is increasingly older on average. The World Health Organization has calculated that the population segment over sixty years of age is the fastest growing group. Many scholars have categorized this phenomenon as the most silent revolution in human history. On this hemisphere, Cuba leads this trend on what is known as population ageing. In a span of about only thirty years, the ratio of individuals over sixty by comparison to the general population has increased from 11.3% in 1985 to 19.4% in 2015. This development has placed Cuba among the most ageing countries in the region (>15%). Other demographic processes like fertility, mortality rates and migration contribute to the process. Fertility rates are below the replacement levels of thirty years ago, birth rates have considerably decreased, life expectancy has increased, and migration trends have expanded. As a result, the Cuban population has decreased in absolute numbers. These trends predict a bleak future. While a longer life span resulting from universal welfare policies is good news, this presents a new problem: care for this growing group, predicted to reach 26% of the total population by 2025. There will be an increasing need for geriatric and gerontological medical care and social welfare. For example, 80% of older adults in Cuba today suffer from a chronical condition. Yet, there is a deficit of caretakers already. In Cuba, budget cuts to social assistance programs have especially affected the elderly. The impact of these cuts is worrisome, considering that, according to the 2012 Census, 40% of Cuban households include at least one older adult. At the same time, the number of homes occupied by only one older adult has increased to 12.6%. The crisis is more acute because, despite the socio-cultural transformations fostered by equality policies, Cuba continues to be a family-centered society, and elderly care is typically the woman’s responsibility. Various studies have shown that since the late 20th century, Cuban migration follows global patterns of feminization. A particularity of this process is that Cuban women are becoming the family’s breadwinner, as they increasingly view migration as the only option to survive the economic crisis and provide for their families. To this end, they delay having children, as reproduction becomes secondary to migration. As more women migrate during their reproductive years, fertility rates decrease, resulting in the shrinking of the youth population. In a family-centered society like Cuba, the family reorganization is deeper when the woman migrates rather than the man. Since elderly care usually takes place within the family unit, and is usually the woman’s responsibility, it is the elderly who are most affected. Interestingly, the responsibility over elderly care and childcare has marked the differential patterns of migration between men and women. Women tend to choose options that will permit family reunification, while men partake in more risky undertakings, such as the 1994 Rafters Exodus (about 70% were men that year). In Cuba, while a longer life span can be interpreted as a succes of the welfare state, there is also evidence that a significant portion of older adults lacks effective opportunities to enjoy a dignified old age. Ageing is not only an objective demographic trend . It implies aging, which is psycho-social phenomenon, with political, cultural, and economic aspects. Ageing accounts for the relative increase of older adults within the total population, but it also needs to take into consideration the different ways in which old age is lived and represented. Old age, as well as the conditions of care for that phase in a person’s life, is marked by many forms of inequality and exclusion. Since the 1990s, international migration has become a family and personal strategy to address many social problems and to fulfill life goals. Consequently, the economic future is uncertain for an aging and minimally-industrialized nation that cannot regenerate its labor force. Both the lack and unequal distribution of care services for older adults and the shrinking welfare services suggest an impending crisis. Additionally, the failure of social policy to anticipate these problems and plan accordingly further aggravates the situation. The result is an uneven landscape, particularly within a general context of social stratification, with some sectors and geographical areas facing greater hardships than others. There is no doubt that an increasingly-feminized international emigration is leading to both a general population ageing and a crisis in elderly care. This demands further research as well as a social debate on the present and future social organization of elderly care and the responsibilities of the welfare state. 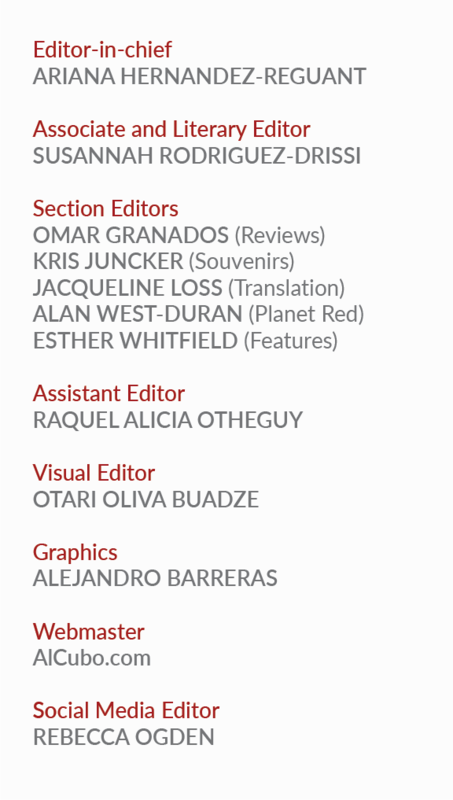 Translated from the original Spanish by the Editors. 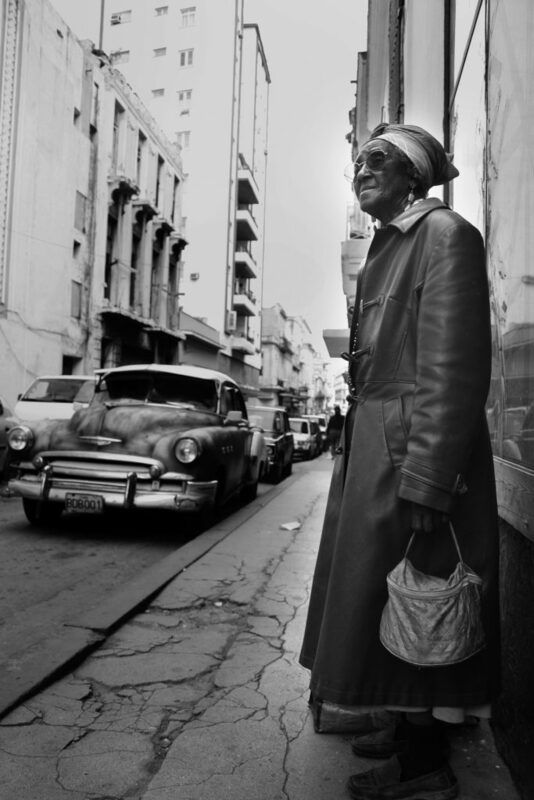 B/w photograph, “A Lady in Old Havana,” by Mabel Llevat Soy. Elaine Acosta González is a Cuban sociologist with a PhD from the University of Deusto in Bilbao (Spain). She is co-director of the transnational research network and think tank "Family, Care and Well-Being Research Program."